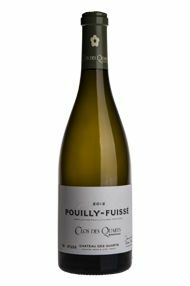 A new joint venture from two of the top names in the White Burgundy business – Olivier Merlin and Dominique Lafon – this is benchmark Pouilly-Fuisse. Concentrated yellow fruit on the nose, with a saline minerality and fresh streak at the heart of the wine. A very fine effort for this debut vintage. This debut vintage – a small crop, but not ridiculously so – is exceptionally promising. 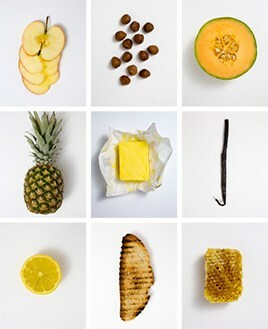 There is a superb wealth of flavour, very graceful, yet also with muscle. Behind there is a steely backbone with superb length and real style. This will become a reference point for Pouilly-Fuissé. This domaine was created in 2012 by two of our favourite vignerons, Dominique Lafon and Olivier Merlin, who are old friends. 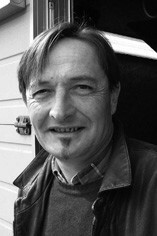 The vineyard is being managed by Olivier Merlin and the wine made in his facility at La Roche Vineuse. The Château des Quarts itself is in semi-ruined condition but, along with the vineyard, has a marvellous position at the top of the slope looking across the valley of the Saône towards the Alps. The vineyard of 2.25ha is enclosed by high stone walls and mostly planted with old vines. This is a very exciting addition to the Mâconnais scene. Château des Quarts was created in 2012 by two of our favourite vignerons, Dominique Lafon and Olivier Merlin, who are old friends. The vineyard is being managed by Olivier Merlin and the wine made in his facility at La Roche Vineuse. More than a decade ago, renowned winemaker Olivier Merlin (dubbed – naturally – 'the wizard of the Mâconnais'), began an extraordinary story. He was looking for a vineyard which would represent the very best terroir in the Pouilly-Fuissé appellation; when the opportunity to obtain a parcel of grapes from the Clos des Quarts came his way, he knew his search was at an end. On learning that this beautiful Mâconnais property was for sale, Merlin approached Dominique Lafon, a producer of equal repute, to form a partnership. Drawing on their shared expertise and savoir-faire, these two vignerons were convinced that they could produce a wine that would be essence of a great Pouilly-Fuissé. In 2012, Château des Quarts was born. The vineyard, Clos des Quarts, is located in Chaintré, the southernmost village of Pouilly-Fuissé. This monopole (under single ownership) vineyard of 2.23 hectares is surrounded by a high stone wall, overlooking the the Saône valley. The oldest vines are approaching their centenary, having been planted in 1937. They face east on a gentle slope comprising clay-limestone soil which is free-draining, making it the ideal site for the production of quality grapes. For the debut vintage of their collaboration, Merlin's team were rigorous in their viticulture, working hard to preserve the site's unique heritage. The grapes were vinified by both Olivier and Dominique in Merlin's cellars at La Roche-Vineuse. Currently, the 2012 wines are maturing in barrel and are due to be bottled this spring. From what we've seen so far, this is a graceful and promising wine – “A reference point” for Pouilly-Fuissé, says Jasper Morris, MW – and a very exciting addition to the Mâconnais wine scene.